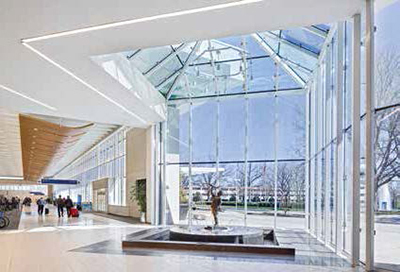 Greenville-Spartanburg Int'l remains operational throughout 5-year ground to ceiling rehab - Automatic Systems, Inc. The project demanded a unique management strategy due to its scope, associated budget controls and the need to maintain efficient airport operations, he adds. Jacobs consequently used what Mosley calls the “plan-do-check-act approach,” whereby team members continuously revisited plans throughout construction to ensure that progress remained in line with goals and objectives. 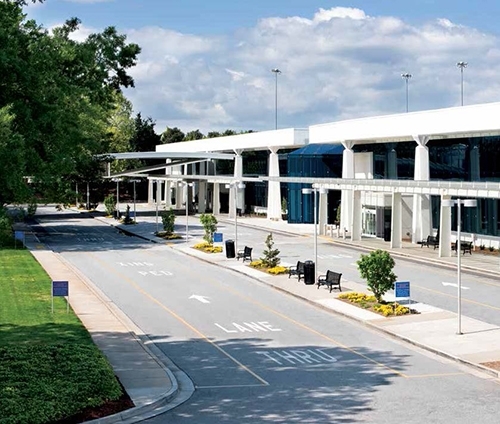 Phase One, the enabling segment, moved rental car counters out of the baggage claim area into enclosed, air-conditioned spaces in one of GSP’s two parking garages, near the rental car pickup area. Crews also tackled the first phase of a future bag claim area by replacing and/or adding new sewer lines and electrical/communications duct banks. Early in the project, GSP installed a shared-use platform to facilitate the necessary movement of airline ticket counters and gates throughout construction. The airport’s new system, EASE(tm) by AirIT (now Amadeus Airport IT), allows airlines to share ticket counter and gate resources without having to move their equipment. Participating via a joint venture, Skanska-Moss provided construction manager at risk services throughout the project. Scott Cannon, executive vice president and general manager for Skanska’s Georgia/South Carolina operations, notes that at peak times, 250 to 300 workers were on site. During the day, contractors worked behind walls. Work in gate areas that could not be walled off was completed at night. When discussing design considerations for the new terminal, airport officials were clear that they didn’t want to obliterate the old terminal’s midcentury industrial-modern aesthetic. They were proud of GSP’s history and wanted to update the terminal with a more modern look and feel-mix the old with the new, explains Harrill. To that end, the building’s precast concrete roof panels and air-conditioning ductwork were left exposed in the interior ceiling areas, but the new glass curtain wall replaces a good portion of the landside exterior concrete wall. Perforated metal panels with a wood finish conceal new mechanical, electrical and sound systems. The relationship between the terminal’s interior and exterior is very important, emphasizes Bob Anderson, associate vice president of architectural firm Michael Baker International. The airport is set in a unique location, “basically within a botanical garden,” as Anderson describes it. Visitors are greeted by a large waterfall and green space as they approach the terminal. Inside, travelers encounter five water features: two in landside areas, two more as they move through Security and yet another in the airside garden.